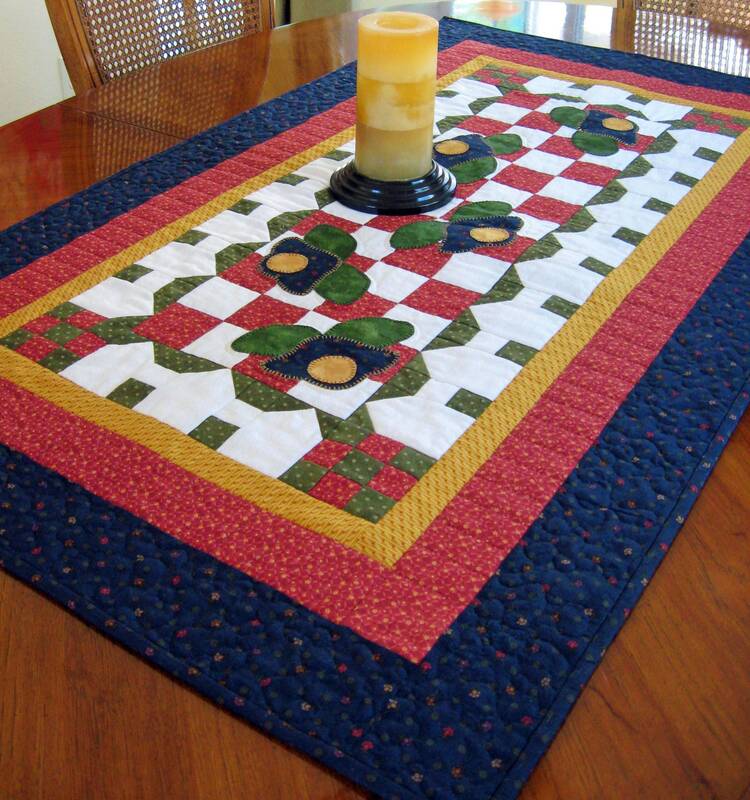 If you have a large dining room table, this is the runner for you! Measuring at 26" x 45", the runner will show beautifully against your table's natural wood. 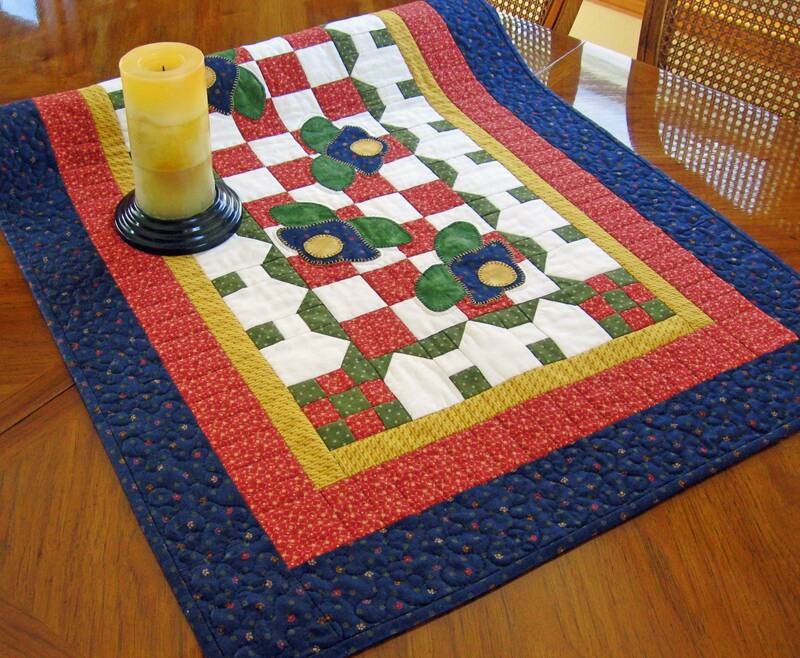 The runners appliqued flowers and "picket fence" border can be casual or dress up a more formal table.The flowers are appliqued onto the red and white checkered background with a blanket stitch. It would also look nice on a credenza or dresser. Need a wedding or housewarming gift? This one-of-a-kind, handmade piece would be welcomed by anyone. 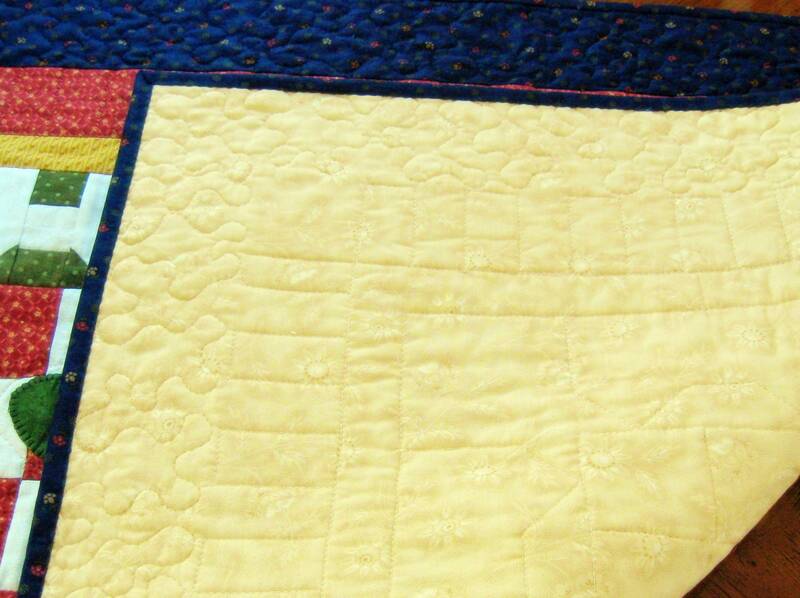 This quilt is made from the finest quilting-quality cottons and is completely hand-crafted and quilted by me on my sewing machine. I use a double-fold binding which is machine-stitched in place and finished by hand. Care: Hand wash in cold water or machine wash in cold on gentle cycle, low dryer, iron as desired. 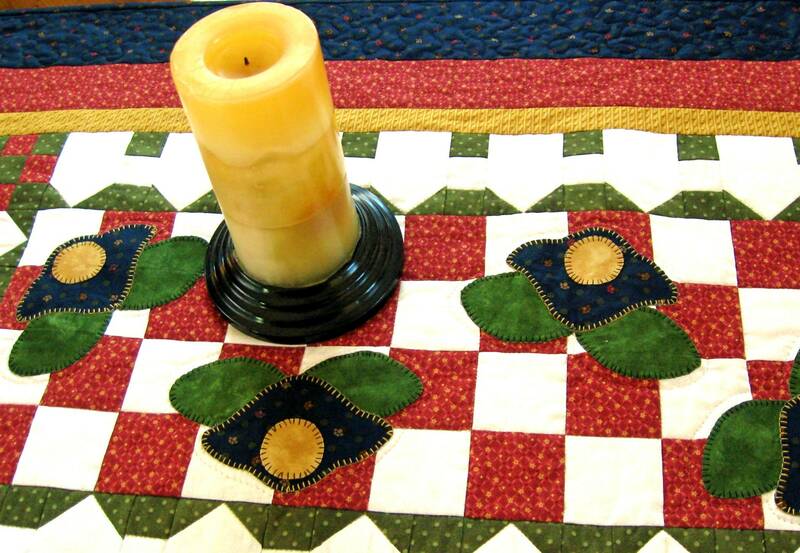 Thank you for shopping at Colorado Quilts!